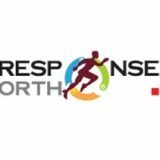 A new CDC report found that overdoses corresponding strongly with use of synthetic opioids increased nearly 10 percent year-over-year in 2017 and, as a result, the average American life expectancy has been reduced by nearly four months for the first time since WWII. Pepcom’s Digital Experience! 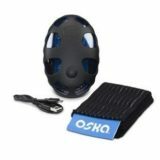 attendees are invited to visit Oska’s table at the show to learn more and test out the innovative new Oska Pulse device. Greg Houlgate, co-founder of Oska Wellness, will be available to discuss and demonstrate Oska Pulse, PEMF technology and how his personal experience with pain led him to recognize the need for an easy to use, affordable, drug-free pain relief alternative in the U.S.
Oska Pulse provides clinically-proven pain relief in the convenience of a wearable, portable and shareable PEMF device that seamlessly fits into any lifestyle. While PEMF technology is commonly used in doctors’ offices worldwide and is demonstrated in thousands of clinical studies to work at the source of pain and provide relief, Oska Pulse is the first device to make it available at an accessible price for home use. Unlike many other pain intervention therapies, Oska Pulse has no known side effects, is non-invasive, lightweight, portable, shareable, and provides safe, effective and affordable access to pain relief – all without medication. 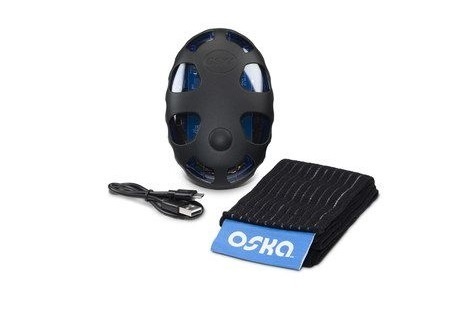 The new Oska Pulse device will be available for purchase in January 2019 for $399 online at www.oskawellness.com, FSAstore.com, HSAstore.com and Amazon. To learn more about Oska, visit www.oskawellness.com. Co-founded in 2015 by Greg Houlgate, Oska Wellness is a pioneer of technology-driven wellness solutions that help people live more active lives with less pain. The brand’s cornerstone product, Oska Pulse, is a revolutionary drug-free pain relief device that is clinically proven to reduce inflammation, increase circulation, improve mobility and relieve pain. Oska Pulse utilizes Pulsed Electromagnetic Field (PEMF) technology, which is commonly used in doctors’ offices and clinically proven to work at the source of pain by accelerating the body’s ability to repair injured cells and increasing blood flow. Unlike many other pain intervention therapies, Oska Pulse has no known side effects, is non-invasive, lightweight, portable, shareable, and provides safe, effective and affordable access to pain relief – all without medication. Oska Pulse can be purchased online at www.oskawellness.com, FSAstore.com, HSAstore.com and Amazon. To learn more about Oska, visit www.oskawellness.com. KFAR SABA, Israel and COLUMBUS, Ohio, Dec. 19, 2018 /PRNewswire/ — CartiHeal, developer of Agili-C, a proprietary implant for the treatment of joint surface lesions, announced today the successful enrollment of the first patient in the Agili-C Investigational Device Exemption (IDE) pivotal study at The Ohio State University Wexner Medical Center. The surgery was performed by site Investigators Dr. Christopher Kaeding and Dr. David Flanigan at The Ohio State University Wexner Medical Center in Columbus, Ohio. The Ohio State University Wexner Medical Center is one of 30 U.S. and O.U.S sites in the new Food and Drug Administration (FDA) IDE trial aiming to show the superiority of the Agili-C implant over the current standard of care in the treatment of cartilage defects in arthritic and non-arthritic knees. “We are excited with the first enrollment at The Ohio State University Wexner Medical Center,” said CartiHeal’s Founder and CEO, Nir Altschuler. 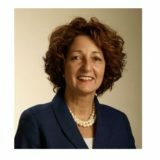 “The site is of great importance due to its strong professional reputation and strategic location, and we look forward to a fruitful collaboration with Dr. Kaeding and Dr. Flanigan.” The pivotal study aims to show the superiority of the Agili-C implant over the current standard of care in the treatment of cartilage defects in arthritic and non-arthritic knees. Agili-C™ is a cell-free, off-the-shelf implant for use in cartilage and osteochondral defects in traumatic and osteoarthritic joints. 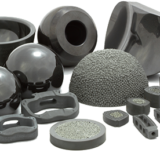 The implant is a porous, biocompatible, and resorbable bi-phasic scaffold, consisting of interconnected natural inorganic calcium carbonate (aragonite). The Agili-C™ implant is CE marked for use in cartilage and osteochondral defects. Agili-C™ has been implanted in over 400 patients with cartilage lesions in the knee, ankle and great toe in a series of trials conducted in leading centers in Europe and Israel. In these trials, the implant was used to treat a broad spectrum of cartilage lesions, from single focal lesions to multiple and large defects in patients suffering from osteoarthritis. The clinical study is a prospective, multi-center, open-label, randomized, and controlled trial aims to show the superiority of the Agili-C™ implant over the current surgical standard of care, micro-fracture or debridement, for the treatment of variety of cartilage lesions of the knee. 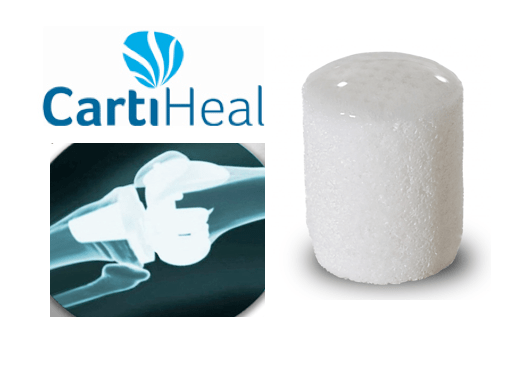 With offices in Closter, New Jersey, and Kfar Saba, Israel, CartiHeal, a privately-held medical device company develops proprietary implants for the treatment of cartilage and osteochondral defects in traumatic and osteoarthritic joints. 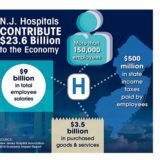 DALLAS–(BUSINESS WIRE)–DJO (“DJO” or the “Company”), a leading global provider of medical technologies designed to get and keep people moving, today announced its plans to relocate its global headquarters from San Diego, California to Dallas, Texas by early 2019. DJO’s Bracing and Supports business unit, which develops and markets DonJoy®, the market-leading line of bracing solutions, and DJO’s Consumer business unit will remain in San Diego, California in a new and improved contemporary space. Over the next three months, DJO will transition many of its corporate functions to Dallas, which will serve as the global headquarters for the Company featuring a state-of-the-art customer experience center and a comfortably modern environment that supports employee well-being while encouraging collaboration. In addition to the relocation of many current employees to the new headquarters, DJO is creating hundreds of new job opportunities in the Dallas area, including many at its new distribution center in Fort Worth which opened a few months ago and already employs over 200. By bringing teams, processes and systems together into one location in close proximity to its new distribution hub in Fort Worth, DJO continues to demonstrate its commitment to delivering value to its customers, employees and shareholders. This press release contains forward-looking statements within the meaning of Section 27A of the Securities Act of 1933, as amended, and Section 21E of the Securities Exchange Act of 1934, as amended. 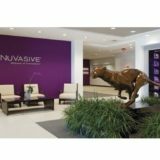 Such statements relate to, among other things, the Company’s expectations for growth of the Company, the acceleration of innovation and the delivery of value to its customers, employees and shareholders. These forward-looking statements are based on the Company’s current expectations and are subject to a number of risks, uncertainties and assumptions, many of which are beyond the Company’s ability to control or predict. The Company undertakes no obligation to update any forward-looking statements, whether as a result of new information, future events or otherwise. The important factors that could cause our results to differ significantly from those expressed or implied by such forward-looking statements include, but are not limited to the successful execution of the Company’s business transformation and facility consolidation plans. Other important factors that could cause results to differ significantly from those expressed or implied by such forward-looking statements include, but are not limited to the risk factors detailed in the Company’s Annual Report on Form 10-K for the year ended December 31, 2017, filed with the Securities and Exchange Commission on March 16, 2018. 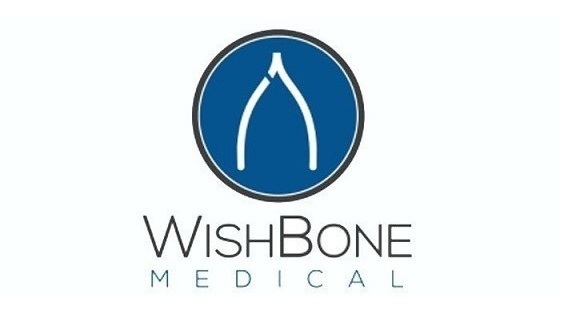 WARSAW, Ind., Nov. 27, 2018 (GLOBE NEWSWIRE) — OrthoPediatrics Corp. (NASDAQ: KIDS), a company exclusively focused on advancing the field of pediatric orthopedics, announced today the U.S. launch of its new PediLoc® Femur Plate System. Building on the success of the existing PediLoc franchise, this upgraded offering boasts a lower profile screw to minimize soft tissue irritation, new locking drill guides, which simplify screw hole drilling and screw placement, and new 4.5mm straight locking compression plate options. The breadth of this product offering allows surgeons to appropriately address multiple indications in patients with varying skeletal maturity levels by utilizing a plate that accurately fits the femur. Further, the enhanced system is configured for increased hospital and operating room synergy by utilizing OP’s existing core systems. 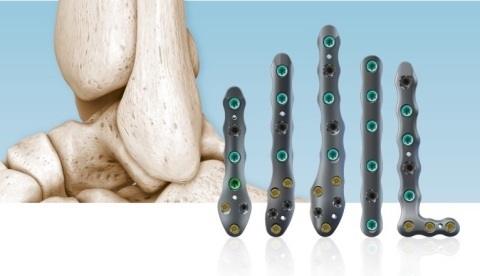 The PediLoc Femur Locking Plate System is indicated for the treatment of pediatric femur fractures and osteotomies. The anatomic design of the stainless steel plates eliminates the need for intraoperative bending and contouring, while also providing superior fixation with either locking or non-locking screws.